This looping motion background is great for sermon notes, scripture, announcements, and lyrics. Great for your Palm Sunday service! 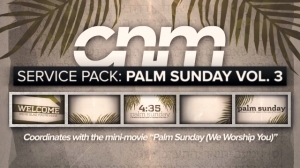 Coordinates with the mini-movie "Palm Sunday (We Worship You)".